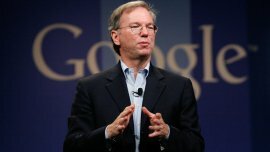 Google CEO Eric Schmidt while speaking at the Techonomy conference in Lake Tahoe, California, said that some 200,000 new Android devices are being sold & activated each day, leading to significant revenue in the form of increased mobile search traffic. “People are finally beginning to figure out how successful Android is,” Schmidt said at the inaugural Techonomy Conference here, pointing to recent studies showing the growth of the mobile operating system outpacing even the popular iPhone. Although Google does not get revenue from Android itself, the use of Google search on these mobile phones earns it revenue, reports CNet. “Trust me that revenue is large enough to pay for all of Android’s activities and a whole bunch more,” he said.